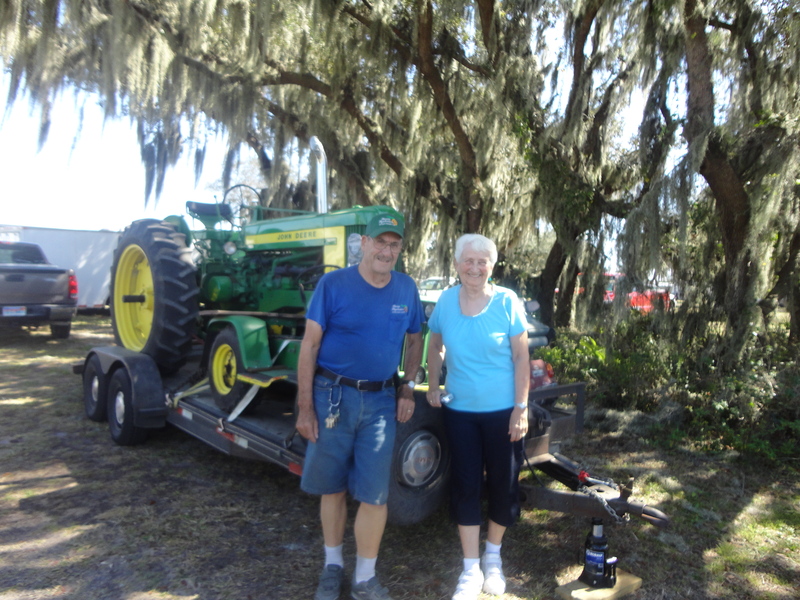 This was certainly true in the case of Paul and Carol Livezey who began as volunteers at the Florida Flywheelers grounds in Fort Meade Park and today they serve as the caretakers. It is really kind of a funny story how I met up with the Livezeys and had a chance to interview them for one of my columns in Farm World. There was an auction the day before the Florida Flywheelers Antique Tractor and Engine show was to begin with several rare Minneapolis Moline tractors. My husband could not believe I would not attend the auction and instead preferred to go to the beautiful Bok Tower Gardens in nearby Lake Wales. “You are going to miss so many story opportunities,” Keith said. Beth Elliott and I skipped the tractor auction and headed to the gardens. Our garden tour guide turned out to be Carol Livezey. On this trip to Florida, all roads led to the Flywheelers. After a chat, we set up an interview with the Flywheelers caretakers and I didn’t watch a single tractor sell. I think Keith just wanted me to cheer him on to buy something to bring home, but I was in a flower frame of mind. Paul and Carol hail from Ohio and began volunteering at the Flywheelers in 2005. Over time they served as back up caretakers and today watch over the grounds year round. Volunteering gave them a chance to see if they liked the club and shows and a place where they could immerse themselves in their hobby and help out as well. Volunteering at the Bok Tower Gardens led Carol straight to me or me to her, anyway, it was a wonderful fate and as mom says, we were prepared! Enjoy giving your time where your heart is and everyone wins! Watch for my upcoming column Wrenching Tales in Farm World for more details about Paul and Carol!